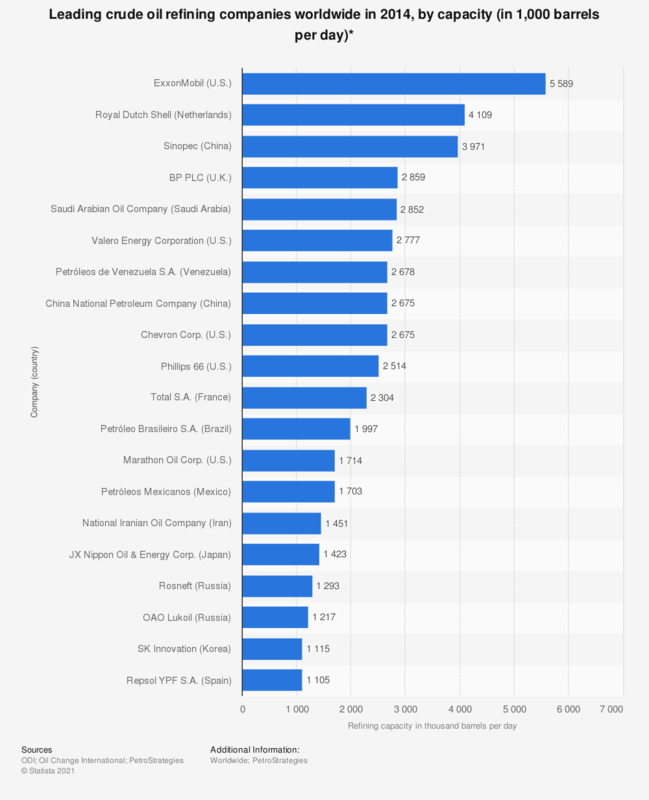 This statistic outlines the refining capacity of the leading 20 crude oil refining companies worldwide in 2014. The Mexican state-owned petroleum company Petróleos Mexicanos, also known as Pemex, had a crude oil refining capacity of 1.7 million barrels per day in 2014. * Including private and state-owned enterprises.